Incorporate an artistic touch into your outfit with this glass pearls bracelet. Add an alluring finishing touch to your casual look with pearl jewelry. 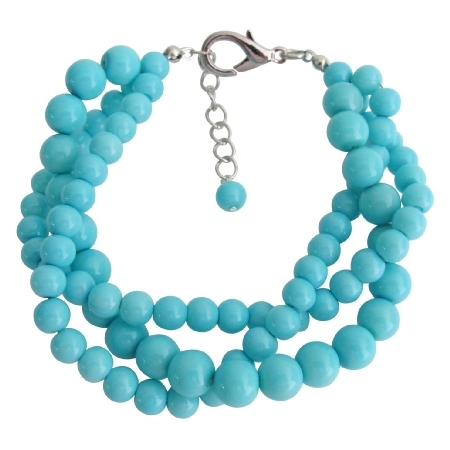 You are looking the Twisted Pearl Three strand Bracelet is loaded in Turquoise pearls. The Twisted Three Strand Bracelet adds the depth & a splash is a great accessory to wear for a formal event or to dress up an outfit.